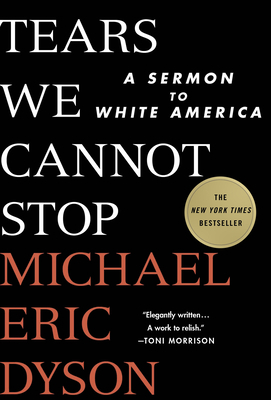 Although written as a sermon, Michael Eric Dyson’s Tears We Cannot Stop evokes no images of a man standing behind the pulpit or even of a professor at the front of a lecture hall. No such guise of authority is needed; his deeply personal accounts of him and his family living while black in America, tied closely with his take on many recent, more public outcries of black Americans, speaks for itself. Dyson is not asking for sympathy, nor even an admission of guilt from white America; he simply asks America to stop looking at history with its rose-colored glasses, to listen, and to join in forging a new path. Challenging, direct, and hard to forget.